Motorcycles industry comprises companies that manufacture motorcycles. Motorcycles are two wheeler vehicles used for transportation. Motorcycles are equipped with engines that run on fuels such as petrol, diesel and LPG. Motorcycles primarily require petrol to run. Motorcycle manufacturers across the globe have evolved from manufacturing bicycles to fully functional high quality, fast engines equipped motorcycles. Companies that manufacture motorcycles are into designing, manufacturing, testing and maintenance of the motorcycles. 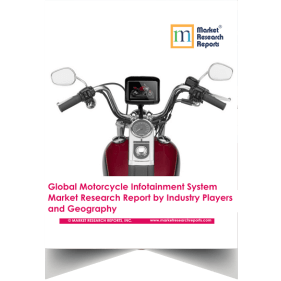 The worldwide motorcycle infotainment system will register a 12.9% CAGR in terms of revenue, reach US$ 320 million by 2023, from US$ 150 million in 2017. Apart from producing the product, companies also offer services in maintenance and repair. 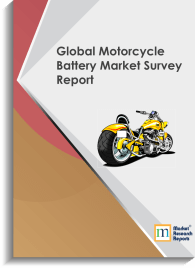 Motorcycle manufacturers across the world are spanned into different regions, different countries and have set up stores for expansion of their brands. Companies that manufacture motorcycles are competitive and innovative in nature. Their growth is determined upon their innovative and efficient production of motorcycles that sustain rough and harsh conditions and that offer longevity. Due to environmental concerns, companies are producing higher economical engines with lowest ever carbon emissions. Safety aspect in motorcycles has improved with time. In early 1950s when motorcycles were not one of the main options of transportation, safety features were not as advanced as it is now. With stronger shock absorbers, solid chassis, light-weight body and efficient engines, motorcycles manufacturers are improvising with design, performance and life of motorcycles they produce. There are various types of motorcycles and for various purposes, standard and regular, sports, touring, cruiser, scooter and moped. Motorcycles are the convenient mode of transportation. 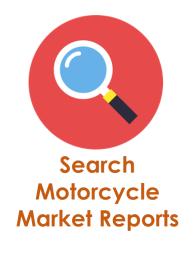 Motorcycle companies that have established themselves in the market are seeing many competitors. Being a creative field, motorcycle industry offers new opportunities for growth and innovation. There is a culture of motorcyclists increasing in number and forming groups in various parts of the world; to celebrate and to bring together the same brand motorbike owners and enthusiasts to single platforms. In global environment awareness campaigns, the major concerns such as carbon emissions are taken into serious considerations; for that there are new entrants of electric powered scooters introduced. Electric scooters run on batteries and can clock a good distance with full recharge. Motorcycles being a lot heavier and need extreme power for running use engines that help covering long distances. Motorcycle industry along with the help of NGOs and government incorporates changes that are an additional beneficial factor. Cutting down on weight of the vehicles is of top priority for many manufacturers as it helps in achieving efficient running and allows customer in comfortable and economical spending on the motorcycles. Motorcycles are gaining importance in terms of primary mode of transport across the world. Already established brands strategize and market aggressively in retaining customer loyalty. Companies that have already enjoyed successful campaigns benefit enormously for the engagement with the prospective customer they have developed over marketing. With introducing new segments for various demographics, various age groups with variety of motorcycles models, companies are gaining incredibly. Motorcycle industry gains revenues up to billions of dollars per year with the prediction of increased CAGR every year. US alone includes more than 70 companies that are established and are going strong and China’s market’s hopes of improving the development of motorcycle manufacturing industry to be driven by domestic and international usage in the last couple of years. Indian motorcycle industry however is fluctuating between economic slowdown and introduction of premium vehicles; the market in India being very prospective growth worthy for premium motorcycle manufacturers, the graph is steadily improving and scaling higher. As compared to the motorcycle market in India five years ago, there has been a rapid growth with introduction of new models and new brands. Major motorcycle industry players across the world are Harley-Davidson, Triumph, Ducati, Suzuki, Royal Enfield, Bajaj, and Honda.